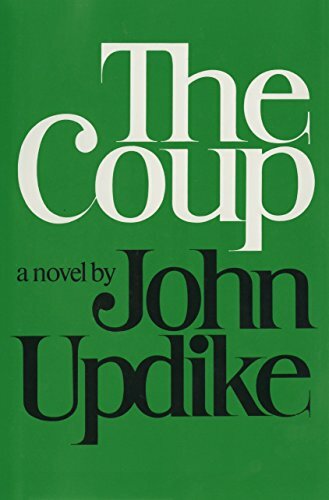 <i>The Coup</i> describes violent events in the imaginary African nation of Kush, a large, landlocked, drought-ridden, sub-Saharan country led by Colonel Hakim F&eacute;lix Ellello&ucirc;. (&#x201c;A leader,&#x201d; writes Colonel Ellello&ucirc;, &#x201c;is one who, out of madness or goodness, takes upon himself the woe of a people. There are few men so foolish.&#x201d;) Colonel Ellello&ucirc; has four wives, a silver Mercedes, and a fanatic aversion&#x2014;cultural, ideological, and personal&#x2014;to the United States. But the U.S. keeps creeping into Kush, and the repercussions of this incursion&nbsp;constitute the events of the novel. Colonel Ellello&ucirc; tells his own story&#x2014;always elegantly, and often in the third person&#x2014;from an undisclosed location in the South of France.